The Beaumont Inn in Harrodsburg, Kentucky, embodies southern charm and elegance. It is where History, Bourbon, and Five Generations come together. 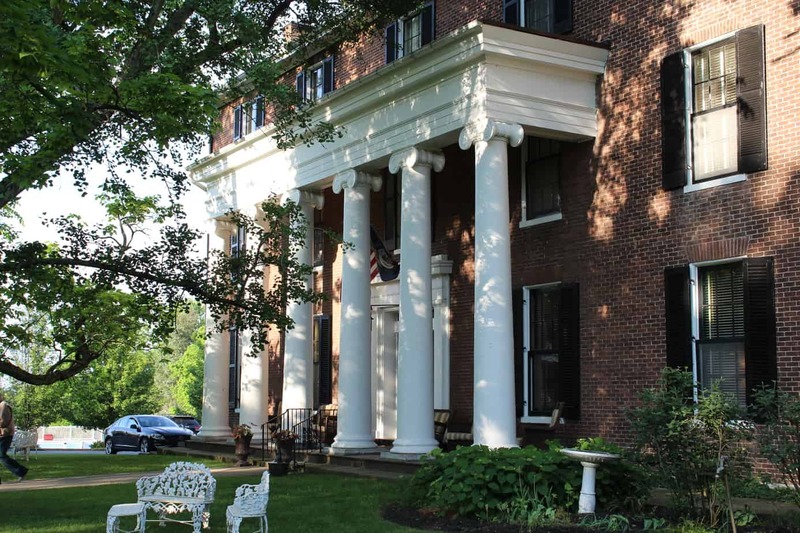 Owned and run by the Dedman family, the Beaumont is Kentucky’s oldest family-owned inn. 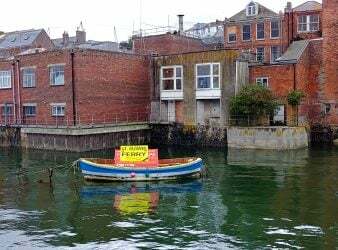 Oh, if the walls of this old Inn could talk, imagine the stories they could tell! As you drive up, you view stately old trees, standing like sentinels around the gently sloping hill. Walking up to the majestic entrance of the Inn your eyes are drawn to the palatial white columns, set against a backdrop of red brick. Your imagination takes you back in time to southern belles and their beaus holding mint juleps in their hands as they lounge and laugh on the broad front porch that wraps the building. 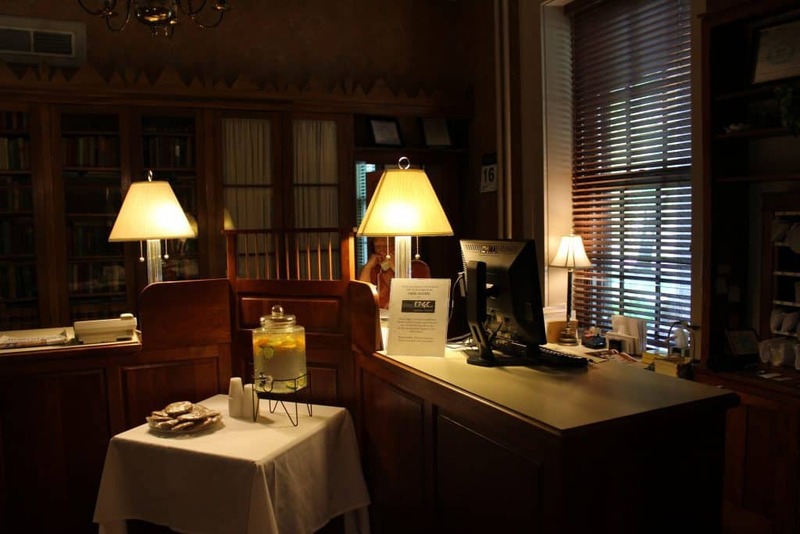 The Beaumont Inn is true southern hospitality that pays homage to its past. Southern Living Magazine has chosen the Beaumont Inn as one of the South’s Top 20 Charming Inns. 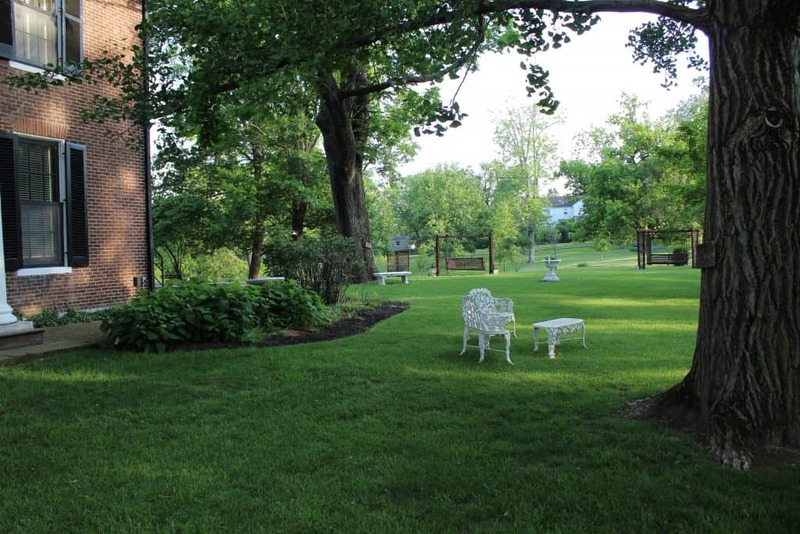 Southern charm with a casual ambiance describes the Beaumont Inn. With a history that spans more than a century, the Beaumont began in 1845 as the Greenville Institute, a school for young ladies. In 1855 it changed names to Daughters College and was under the direction of Mr. John Augustus Williams, former president of the University of Kentucky for the next forty years. Williams took the students under his arm, acting as much like a surrogate father as a professor. “All of these girls will be my daughters,” and Williams designed their education as if they were his own children. During the Civil War, many well-to-do southern families sent their daughters to the college to escape the coming hostilities of war. A Virginian and a former Confederate officer on the staff of General Thomas J. “Stonewall” Jackson, Colonel Thomas Smith, purchased the school and renamed it Beaumont College in 1894. Beaumont is a French word meaning “beautiful mount.” Sitting on one of the highest points in town, Beaumont is indeed a fitting name. Beaumont College operated until 1916 until Glave and Annie Bell Goddard purchased the property in 1917. Annie Bell Goddard had emotional ties to the former school, graduating from Daughters College in 1880. She taught mathematics and later became the Dean of Beaumont College. Visits by students to their Alma Mater created a natural demand to turn the former college into an inn, and Beaumont Inn was born. Nearly a century later, the Dedman family, descendants of the Goddards, continue the tradition of southern hospitality. The Inn holds the heritage of the Goddard family. Decorated with period antiques, like the antique Cleopatra Clock and table from the French exhibit at the 1893 Chicago World’s Fair and a large wooden chair used by Franklin D. Roosevelt when he visited Harrodsburg to dedicate the George Rogers Clark monument at Old Fort Harrod in 1934. Elegant twin staircases are the central features of the main hallway and lead to the rooms on the second and third floors. In my mind’s eye, I can visualize giggling young women hiking up their dresses and sliding down the banister rails. The rooms are huge for an old home and have been upgraded to accommodate today’s travelers. Antiques from the family’s collection decorate each room. Annie Bell Goddard’s poem “The Pearl” hangs in each chamber. 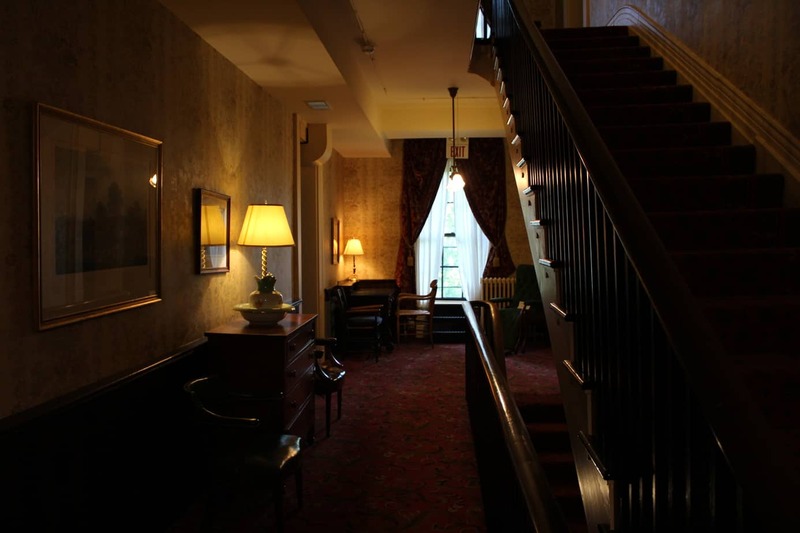 You truly are sleeping with history when you stay at the Beaumont Inn! For real Kentucky Bourbon fans, you are in luck! The Beaumont Inn is one of the stops on the Kentucky Bourbon Trail (try over 70 different Bourbons without having to drive!) For the person who is looking to develop a taste for exquisite Kentucky Bourbon, the Innkeeper’s personalized private Bourbon Tasting with Kentucky Bourbon aficionado Dixon Dedman is a must. Dixon will walk you through the taste profiles, and history of each bourbon. 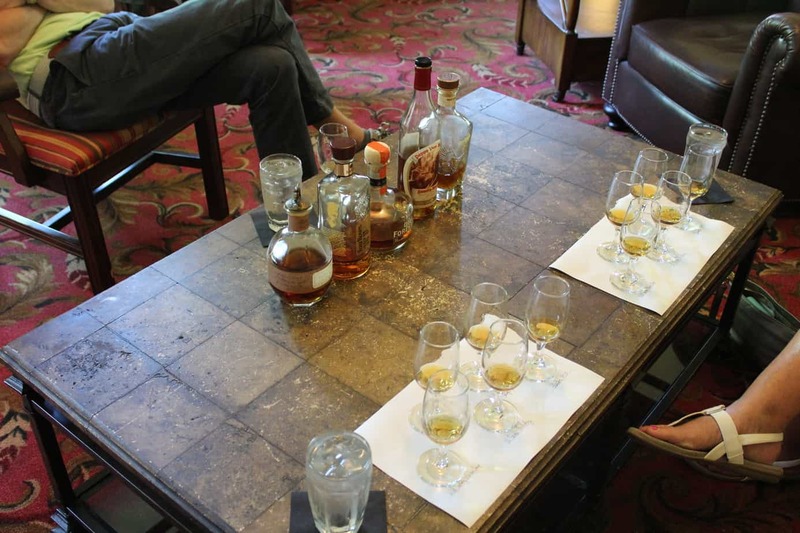 We chose the Ultra Premium Bourbon Tasting, which included a 17-year-old Wild Turkey, a 20-year-old Pappy Van Winkle, an Old Forrester Birthday 12-year-old Kentucky bourbon, a 14-year-old Four Roses Limited Edition single barrel bourbon, and Blanton’s SFTB (straight from the barrel) 130.9 proof bourbon. 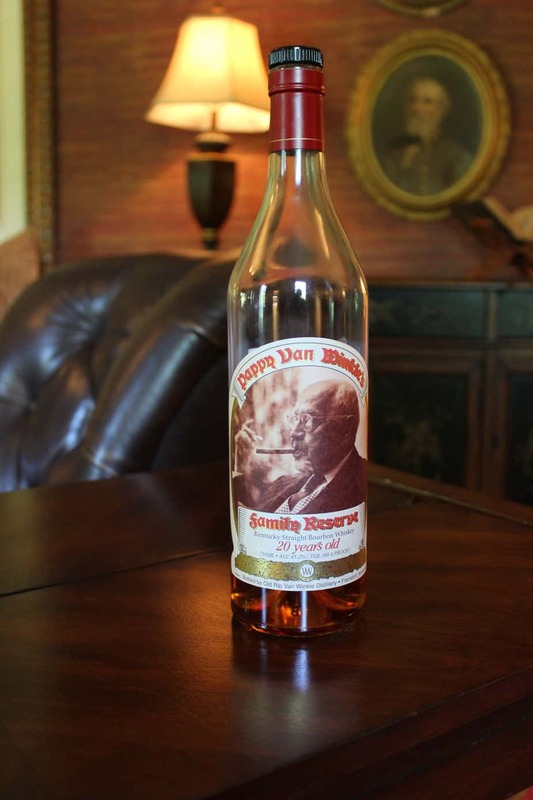 My hands-down, favorite bourbon from this tasting was the 20-year-old Pappy Van Winkle. This particular bourbon is the “most sought after bourbon in the world,” due to its scarcity, Dixon told me. It is, of course, a costly bottle of bourbon, at $1800 a bottle. Distilled at Buffalo Trace, this bourbon whiskey comes out once a year. It is a wheated product that allows you to taste the barrel. It is smooth and hits in the front of your palate. It is a good sipping bourbon, to be taken neat. To book your personal Bourbon Tasting with the Innkeeper, contact Dixon directly at least a week prior to your arrival. After a full day of sight-seeing and touring, we settled on the Owl’s Nest. The Owl’s Nest is serving up some fantastic southern style cooking in a pub style atmosphere. The interior boasts rich, dark chocolate wood, and the atmosphere envelops you in warm, cozy, relaxation and casual intimacy. When visiting Kentucky, you must try a Kentucky Hot Brown. And the Beaumont Inn has perfected this Kentucky favorite. An open-faced sandwich on white bread with freshly carved turkey, a delicate Mornay sauce and topped with two slices of crispy bacon, this writer was in heaven! Originally concocted at the Brown Hotel in Louisville, Kentucky in 1926, this delicious, iconic sandwich can be found across the Bluegrass state. The Main dining room serves up classic Southern dishes in a refined setting. Gleaming chandeliers cast a warm glow over tables draped with white linen as you dine in elegant surroundings. No trip to Kentucky is complete without a stay at the stately Beaumont Inn where History, Bourbon, and Five Generations come together for an unforgettable experience. A huge thank you to Harrodsburg, Kentucky, “The Coolest Place in History” and the Beaumont Inn & the Dedman family for their generous hospitality. As always, all opinions are our own. Betsi Hill is a freelance writer and travel blogger based in Florida. Her many travels have taken her to 23 countries on five continents. As the founder and editor of Betsi’s World, she shares her passion for travel, sailing, culture, and food. Betsi loves to spend smart, maximizing her travel dollars with a side of luxury. She is an adventurer and sailor, and can most often be found on the search for the perfect beach. She has been featured in Sailing Life Magazine, The Best of Life Magazine, and a guest contributor to several online blogs. 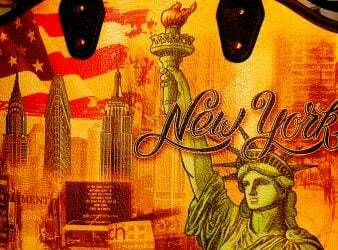 Her latest travel ventures and adventures can be found on her blog, Betsi’s World.